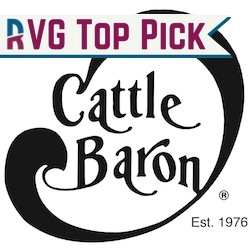 Cattle Baron Restaurants, Inc. is a privately held company founded in 1976 in Portales, New Mexico by the founder and CEO of the company, Jeff Wilson. Jeff Wilson Purchased “Bob’s Steak House” upon completion of his service in the United States Air Force at Cannon Air Force Base in Clovis, New Mexico. He promptly renamed the location to “Cattle Baron Steak & Seafood Restaurant”. Jeff operated this location for eight years before embarking on a successful expansion program. Cattle Baron restaurants can be found in Hobbs, Las Cruces, Portales,Roswell and Ruidoso in New Mexico, in Texas we have locations in Lubbock, Midland and two in El Paso.